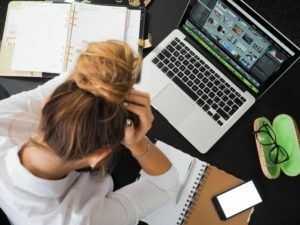 Do you ever feel stressed with so many English classes to prepare? 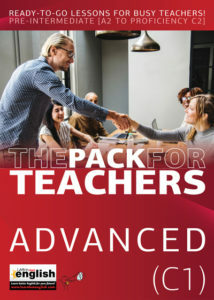 If you’re an English teacher, you may have different levels and ages, and very little time to get ready for them all. You aren’t alone – it’s a common problem. Going into an English class under prepared can be scary. And it could lead to a bad lesson and a lack of progress for your students. Your school or academy may have books, but they might be boring, unsuitable or the wrong level for your class. Meanwhile, the clock is ticking and you haven’t got a class prepared. So, what are you going to do? Of course, you could rely on your experience, charm and wit. But how many classes can you do like that? Not many… and besides, it’s exhausting! 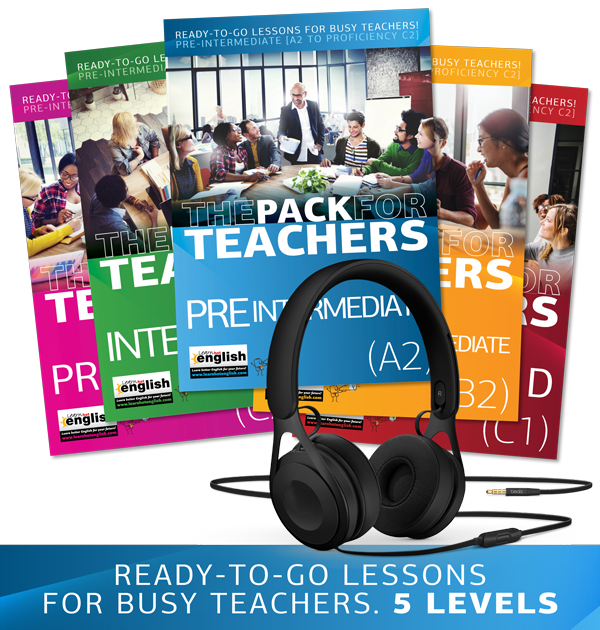 Luckily, we’ve got the solution for you: the PACK – ready-to-go lessons for busy teachers. 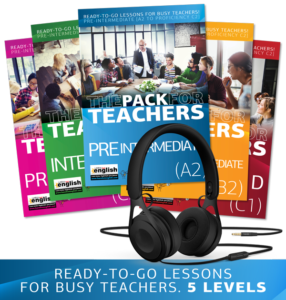 Each PACK comes with over 20 lessons full of warmers and fun follow-up activities and audio or video files. 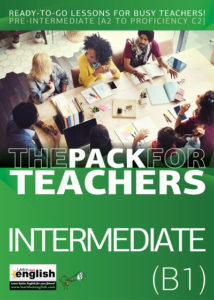 This will all make your life as a teacher so much easier! 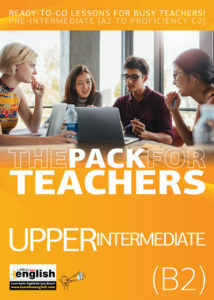 Best of all, the PACK comes in 5 levels: Pre Intermediate, Intermediate, Upper Intermediate, Advanced and Proficiency. 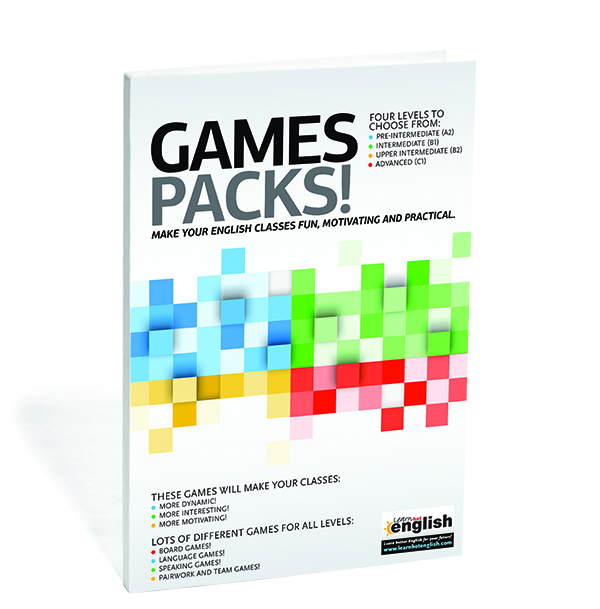 With the PACK, your students will use lots of useful practical language in the games, role plays and speaking activities, among many other things. 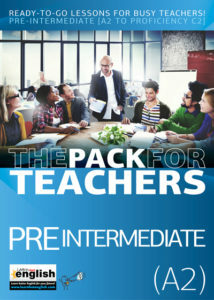 Plus, there are Teacher’s Notes to give you extra ideas on how to best to use the material. All of our material is printable and photocopiable; and as the topics are current and up-to-date, and the activities are fun, your students will be motivated, and they’ll enjoy the classes! And as a result of this, they’ll learn more! a. Read and listen to an article about American food. a. Learn helpful vocabulary and expressions for discussing crime. a. Learn about famous toilets and improve reading and listening skills. a. Read and listen to an article about scary childhood stories. a. Practice reading and listening skills with an article about some tasty world records. a. Build reading and listening abilities with a study about what things people feel like they need today. a. Read and listen to an article about street musicians. 8. Your boss and you! a. Improve reading and listening skills with an entertaining article about dealing with your boss at work. a. Read and listen to dialog between two co-workers. a. Read and listen to a series of short jokes. a. 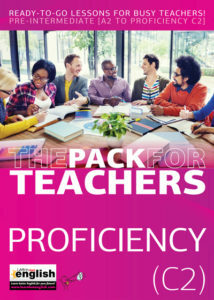 Practice reading and listening skills with funny labels companies put on their products. a. Learn practical English to use at the doctor’s office from dialog between a doctor and patient. a. Learn the names for different noises that can be made with your hands. a. Build reading and listening skills with a dialogue about an emergency. a. Read and listen to an article about the hedgehog as the UK’s national symbol. a. Use a study about childhood pastimes to practice reading and listening skills. a. 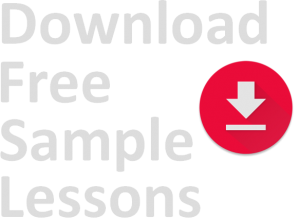 Learn practical English to use when discussing emails with a vocabulary list and dialog. 18. Natural English: What’s your favourite TV series? a. Practice reading and listening skills with short interviews about favorite TV series. a. Listen to a recording of different people describing themselves. a. Become more familiar with the names of noises that occur when people are arguing. a. Learn vocabulary and expressions that are associated with taking a taxi. a. Practice using expressions that use the word “do”. a. Strengthen reading and comprehension skills with riddles from a popular movie, The Hobbit. a. Practice listening skills with famous posts from Twitter. a. Read and listen to three funny stories about some mischievous animals. a. Learn useful expressions and terms for when you need to be assertive. a. Listen to and read an article about how to improve the way you live. a. Improve reading and listening skills with an article about food photography. a. Listen to and read about the mystery of the Yeti. 7. Sliced bread or bagels: what’s more popular? a. Listen to and read a study about the popularity of different types of bread. 8. How effective are tasers? a. Practice reading and listening skills with an article about the capabilities of police tasers. 9. Should slang be banned? a. Read and listen to a article about English slang. a. Practice reading and listening skills with an article about unusual scientific research. a. Learn practical English for discussing transportation. 12. If you could be anywhere in the world right now, where would it be? a. Strengthen reading and listening skills with interviews about travel. a. Learn useful terms and phrases to use when asking for permission. a. Improve listening skills with dialog from funny calls made to emergency services in the UK. a. Listen to and read an article some unique things to do at airports around the world. a. Listen to an read an article about English office rules. a. Listen to a recording about famous actors and actresses. a. Learn practical English to use when you are traveling by plane. a. Listen to an audio recording about unique sports found around the world. a. Use a matching exercise to practice vocabulary. a. Improve reading and listening skills with jokes, anecdotes and stories told by native speakers. a. Learn common expressions that are used in the UK and the US. a. Learn useful expressions to use in emails. a. 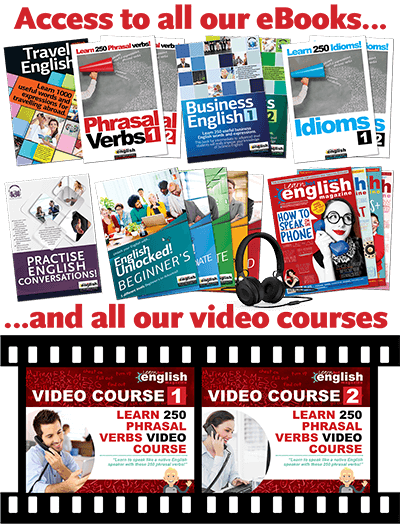 Practice using commonly used phrasal verbs. a. Improve reading and listening skills with an article about common superstitions. 2. Pronunciation problems with foreign words! a. Read and listen to an article about common pronunciation problems. a. Learn about buzz marketing and improve reading and listening skills. 4. Ridiculous injury claims by the police! a. Read and listen to an article about funny police claims for personal injury. 5. Clowns – it’s no laughing matter! a. Improve reading and listening skills with an article about the declining popularity of clowns. a. Read and listen to an article about increasing levels of employee sickness. 7. 5 popular dance moves! a. 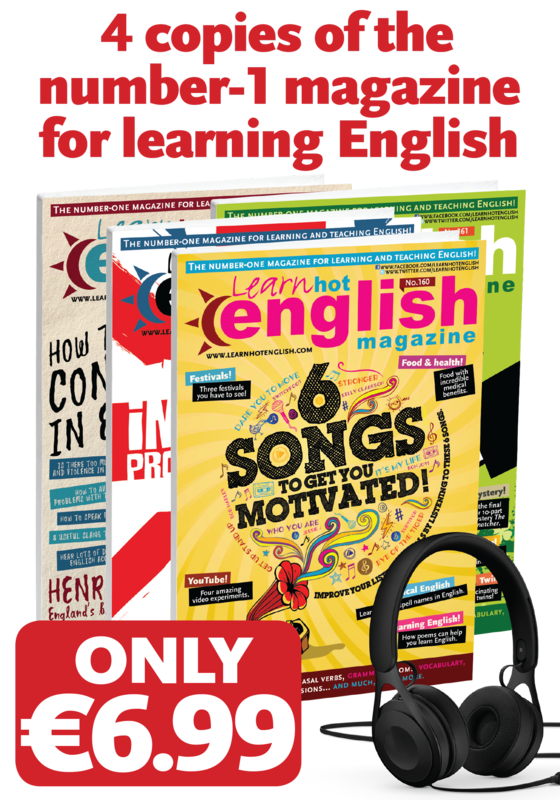 Strengthen reading and listening skills with an article about popular dance moves in English-speaking countries. a. Read and listen to an article about the increase of skyscrapers in London. a. Listen to an audio recording of three people talking about hypocrisy. a. Watch a video and read an article about having an argument. a. Learn useful vocabulary and phrases for when you want to discuss the environment. a. Improve reading and listening skills with a list of overdramatic posts on Twitter. 13. What’s your favourite main dish? a. Listen to six different people talk about their favorite foods. a. Read and listen to the stories of some big mistakes. a. Practice listening skills with an audio recording of three unique vacations. a. Listen to an audio recording about two weird diets that people have tried. a. Improve reading and listening skills with an article about funny emails that became famous. a. Learn useful vocabulary and expressions commonly used for making excuses in English. a. 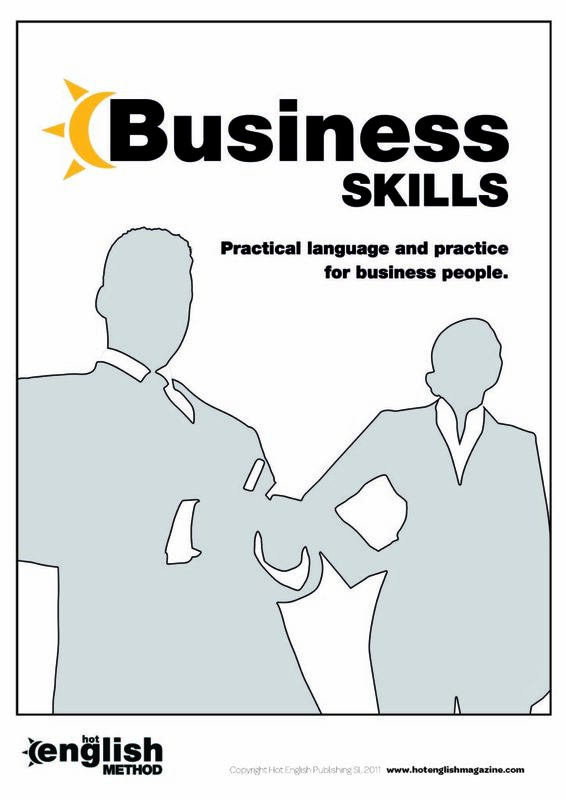 Learn practical English that is commonly used in the workplace. a. Listen to two people talk about two newly released films. a. Listen to and and read about research conducted on what makes people attractive. 22. Are we washing too much? a. Improve listening and reading skills with an article on the benefits of washing less frequently. a. Learn about some common idioms used in English-speaking countries. a. Learn some English business tips and strengthen reading comprehension with an article featuring Google’s founders. 1. 6 different types of anger! a. Improve reading and listening skills with an article that explains the different types of anger. a. Read and listen to three different stories of embarrassing situations that were caught on camera. 3. 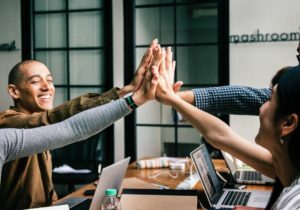 Work contracts to watch out for! a. 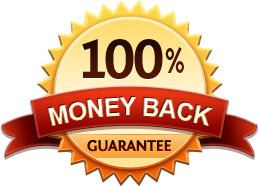 Read and listen to an article about tricks that have been hidden in some work contracts. a. Read and listen to 5 different stories some criminals who weren’t very sneaky. a. Listen to and read about two of the craziest airplane mysteries. 6. 4 types of robber! a. Practice reading and listening with an article about 4 unique cases of theft. a. Read and listen to 6 awkward situations and learn how to deal with them. 8. Was Shakespeare the world’s first psychologist? a. Practice reading and listening skills with some famous quotes from Shakespeare. 9. 5 unusual people to follow on Twitter! a. Read about 5 weird accounts that can be found on twitter. 10. How to enjoy life… slowly! a. 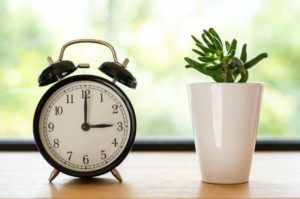 Improve reading and listening skills with an article about the beneficial aspects of slowing down. a. Strengthen listening skills with four stories of some tricky con artists. a. Learn about indirect language used by the British and practice listening skills. a. Listen to an audio recording of 5 different money exchanges. a. Listen to and read four stories about some lucky escapes. a. Improve reading and listening skills with an article about the different types of intelligence. a. Practice reading and listening with an article about the financial side of airlines. a. Read and listen to an article about the different uses of new drone technology. a. Improve reading and listening comprehension with an article about popular celebrities who took a turn for the worse. a. Strengthen reading comprehension with an article that explains why zombies are so popular today. a. Listen to a conversation between two co-workers. a. Learn some common slang words and expressions related to home repairs. 22. Group talk: Do you like eating out? a. Improve advanced listening skills by listening to multiple speakers in an informal setting. a. Learn useful phrasal verbs that are related to problems.